The church of St Joachim in Madera, California, (401 West 5th St) will hold an EF Solemn High Mass, this coming Monday, October 3rd, for the feast of St Thérèse of the Child Jesus, patroness of the Diocese of Fresno. 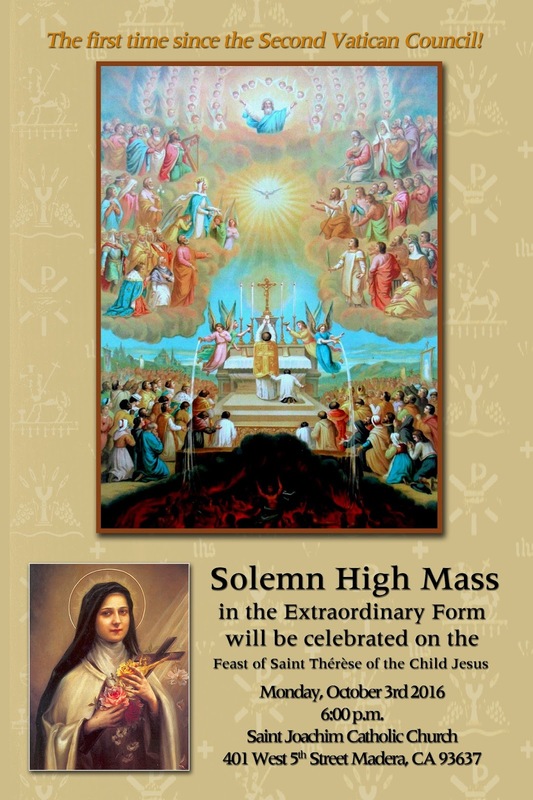 The Fresno Traditional Mass Society will be assisting in the preparations; the Mass begins at 6 p.m. 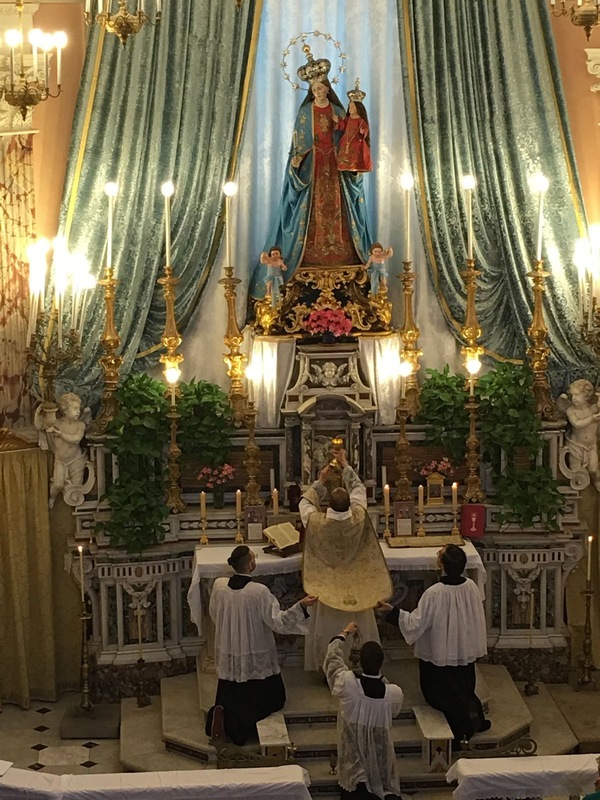 This is the first Solemn Mass held in the church since since the post-Conciliar reforms were instituted. We continue with the second part of a paper by Fr Peter Stravinskas, originally delivered at the CIEL conference in Paris in 2003. 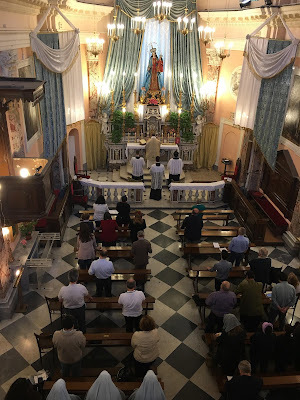 The first part examined the question of how the famous words “actuosa participatio” in Sacrosanctum Concilium were originally meant to understood; this second part continues with its treatment after the liturgical reform, and particularly, the continued emphasis on interior disposition. 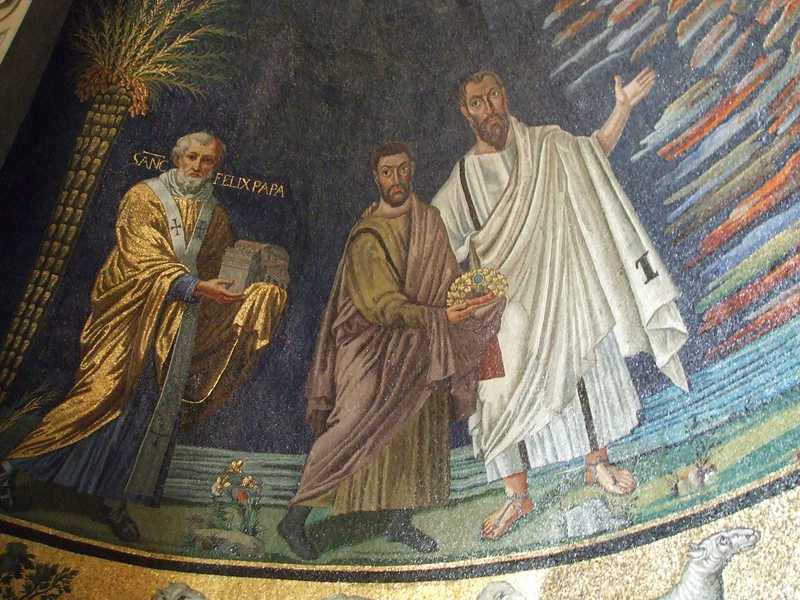 Our thanks once again to Fr Stravinskas for allowing us to reprint the article here on NLM. Their (sacred images’) purpose is to raise the spirit beyond the figure to what the figure stands for. . . . The Church entrusts art with a mediating role, analogous, we might say, to the role of the priest or, perhaps better, to that of Jacob’s ladder descending and ascending. . . . The Liturgy superbly fulfills this (artistic) vocation in both beauty of form and profundity of content. . . . 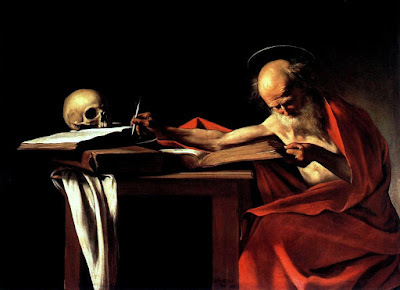 The alliance between art and the life of religion will also succeed in giving again to the Church, the Bride of Christ, a voice that love inspires and that inspires love. . . . As always, we must begin with the education of the person. Cardinal Villot picked up that theme in comments made to the Italian bishops’ committee on the liturgy for the 21st Italian Liturgical Week (4 September 1970): “There is cause for comfort in the increased measures to bring about a deeper knowledge of the Liturgy and an ever more intelligent, active, and personal participation by the faithful in the rites of the Church.” Was this his honest appraisal of the situation or wishful thinking? It is hard to tell, but there is no mistaking the linking of proper catechesis to any true actuosa participatio. In a general audience on 22 August 1973, Paul VI spoke about the preservation of “Latin, Gregorian chant,” and prayed, “May that be God’s will.” He linked this intention up to full liturgical participation. The ill-advised Directory for Masses with Children made its début on 1 November 1973, but even there we find this salutary reminder: “In all this, it should be kept in mind that external activities will be fruitless and even harmful if they do not serve the internal participation of the children. Thus religious silence has its importance even in Masses with children. The children should not be allowed to forget that all the forms of participation reach their high point in eucharistic communion, when the Body and Blood of Christ are received as spiritual nourishment” (n. 22). 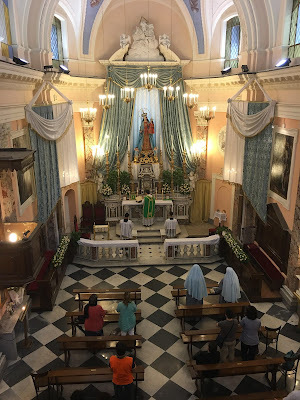 Then quoting the General Instruction of the Roman Missal, n. 23, it repeats: “Even in Masses with children, ‘silence should be observed at the designated times as part of the celebration,’ lest too great a place be given to external action. In their own way, children are genuinely capable of reflection” (n. 37). Iubilate Deo, which provided a basic repertoire of Latin chants and hymns deemed essential for every parish community, was promulgated on 11 April 1974; this document was presented to the whole Church as a way of implementing Sacrosanctum Concilium, n. 54, “that the voice of the faithful be heard in both Gregorian chant and vernacular singing.” The musical dimension was hit upon again by Cardinal Villot in an address to the 21st National Congress on Sacred Music (13 September 1974): “All the parts of the Mass are in themselves already a form of evangelization, because they revivify faith and transform into adoration. 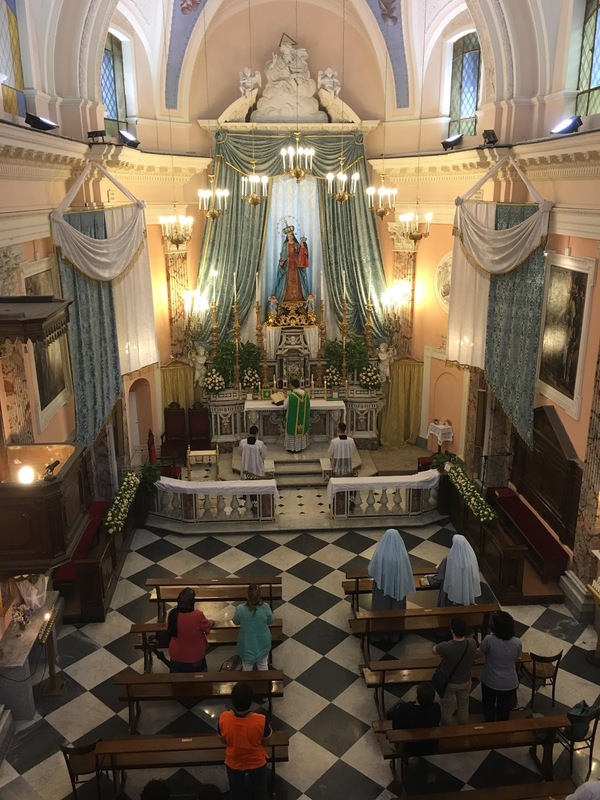 But in singing and music, the parts of the Mass can find a powerful and expressive way to foster the participation of the faithful.” Noteworthy, too, are the references to evangelization and adoration. But there is an essential difference in the liturgical drama. . . . In contrast, the liturgical drama not only brings to mind again Christ's deeds but reactualizes His salvific action (see ST 3a , 56.1 and 3); . . . as He is the always active source of our salvation. . . . In any believer who participates in the Liturgy there is no sense of remoteness or of being on the outside. Consequently, in celebrating the Paschal Mystery, the believer is taken into and overcome by the dramatic power of the “hour” of Christ, “my hour” as he called it. The Liturgy is a communion of minds, prayers, voices, agape or charity. Passive presence is not enough; participation is required. 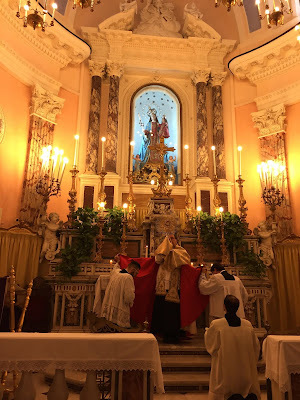 The people must see in the Liturgy a school for listening and learning, a sacred celebration presented and guided by the priest, but in which, as a gathering of hearts and voices, they join by their response, their offerings, their prayers. . . . Remember that Liturgy is believing, praising in song, alive to earthly experience, on pilgrimage toward the celebration of the eternal revelation. Three years later (4 October 1979), Pope St John Paul II, during his first pastoral visit to the United States, reminded priests in Philadelphia that “all our pastoral endeavors are incomplete until our people are led to the full and active participation in the Eucharistic Sacrifice. . . .” Throughout his pontificate, the Holy Father underscored numerous elements of what he understands by “full and active participation.” To cite them individually would be nearly impossible and would overload the circuit unnecessarily, especially since they reiterate the very elements presented by the Magisterium of the 20th century. What is interesting, however, is to look up the topic of participation in the Catechism of the Catholic Church. 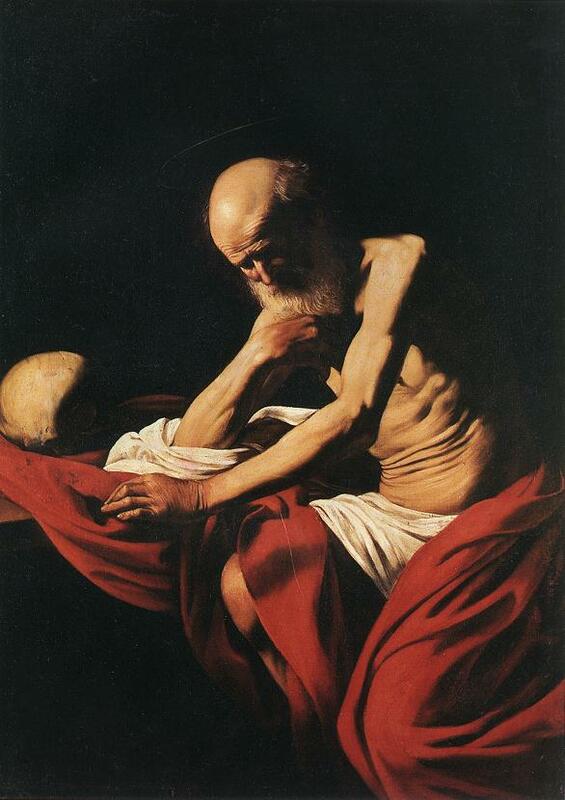 The references deal with how we participate in the Lord’s Paschal Mystery (e.g., nn. 618, 654, 668, 1006). The Catechism links our participation in a definitive manner to the Sacred Liturgy, especially the Sacraments of Baptism and Holy Eucharist. We are taught that “grace is a participation in the life of God. 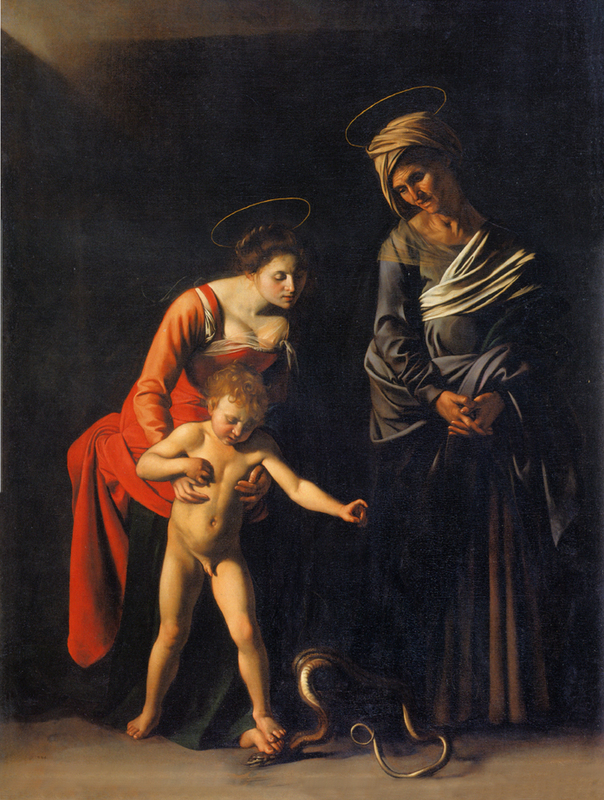 It introduces us into the intimacy of Trinitarian life: by Baptism the Christian participates in the grace of Christ” (n. 1997, emphasis in the original). This grace likewise brings about our “participation. . . in Christ’s mission as Priest, Prophet and King,” particularly through Baptism and Confirmation (n. 1546). We also learn that Baptism confers “the sacramental character that consecrates (us) for Christian religious worship.” It goes on to speak of how this “enables and commits Christians to serve God by a vital participation in the holy Liturgy of the Church and to exercise their baptismal priesthood by the witness of holy lives and practical charity” (n. 1273). All this is brought to its culmination in the Eucharistic Sacrifice: “This ‘how’ exceeds our imagination and understanding; it is accessible only to faith. Yet our participation in the Eucharist already gives us a foretaste of Christ’s transfiguration of our bodies” (n. 1000). How is this so? Because “the Liturgy is also a participation in Christ’s own prayer addressed to the Father in the Holy Spirit. In the Liturgy, all Christian prayer finds its source and goal. Through the Liturgy the inner man is rooted and grounded in ‘the great love with which (the Father) loved us’ in His beloved Son” (n. 1073). An awareness of Christ’s unique presence in the Eucharist “moves us to an ever more complete participation in our Redeemer’s sacrifice which we celebrate in the Eucharist” (n. 1372). We should notice, therefore, how all our attention is focused on interior dispositions, rather than merely external postures, gestures and other such activities (as important as these are for body-soul unities to worship). Why might this emphasis be given? I venture to say that the experience of two decades of liturgical confusion and frenzy caused the editors of the Catechism to attempt to balance the matter in favor of fundamental truths that had been lost in the post-conciliar shuffle – at least at the practical level or lived experience of the average person in the pew.
. . . it is necessary to keep in mind the particular nature of the Sacred Liturgy. 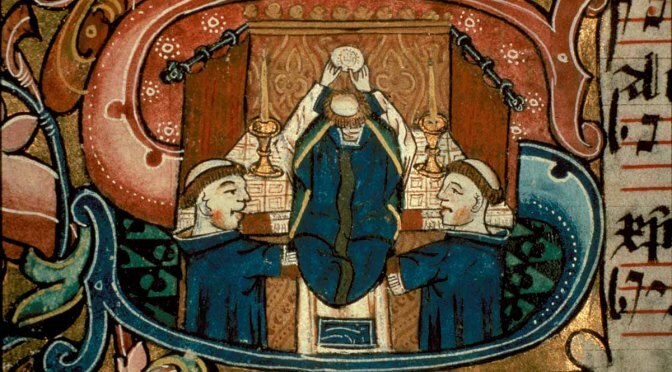 As the Constitution Sacrosanctum Concilium of the Second Vatican Council explained, “every liturgical celebration, because it is an action of Christ the Priest and of His Body, which is the Church, is a sacred action surpassing all others. No other action of the Church can equal its efficacy by the same title and to the same degree” (n. 7). According to the famous statement, used for the first time by the Magisterium in the motu proprio, Tra le Sollecitudini (22 November 1903) of Pope St. Pius X, the Constitution on the Liturgy desires: “that all the faithful be guided to that full, conscious and active participation in the liturgical celebrations, which is required by the very nature of the Liturgy” (n. 14). Today this participatio actuosa (active participation) of the faithful is sometimes reduced to their performing some liturgical ministry. However, the Council wishes to invite all believers to take part, consciously and actively, in the liturgical prayer itself, by offering to God the sacrifice of praise and adoring Him “in spirit and in truth” (Jn 4:23). Once more, the interior dimension is highlighted. Surely we cannot ignore Holy Thursday of 2003, when Pope John Paul II promulgated Ecclesia de Eucharistia on the silver jubilee of his accession to the Chair of Peter. It is not an exaggeration to suggest that the entire encyclical can be viewed as an essay on the meaning of genuine participatio actuosa. He mentions three serious obstacles to full, conscious and active participation: liturgical abuses (n. 10); lack of full ecclesial communion, both visible and invisible (n. 35f); the presence of grave sin in a participant (n. 37). All of Chapter Five is devoted to “the dignity of the eucharistic celebration” as he considers how the interior and external aspects of Christian worship should interact, including art, music, architecture and liturgical discipline. It was in reference to that last item – liturgical discipline – that the Holy Father took the occasion to announce the preparation of a “juridical” document confront the abuses which have marred the life of the post-conciliar Church. In a powerful line, he declares: “No one is permitted to undervalue the mystery entrusted to our hands. It is too great for anyone to feel free to treat it lightly and with disregard for its sacredness and universality” (n. 52). Finally, he takes on the pernicious dichotomy between the head and the heart introduced by the Enlightenment (1), following Blaise Pascal’s trenchant observation, “The heart has reason that reason knows not.” “If, in the presence of this mystery,” he says, “reason experiences its limits, the heart, enlivened by the grace of the Holy Spirit, clearly sees the response that is demanded, and bows low in adoration and unbounded love.” He then turns to St. Thomas Aquinas, whom he describes as “an eminent theologian and an impassioned poet of Christ in the Eucharist,” urging us to “turn in hope to the contemplation of that goal to which our hearts aspire in their thirst for joy and peace” (n. 62). So, a first principle of active participation is that whatever we do bodily should be a sign of what ought to be happening in our souls. For this, we have to look to what we are doing and to the words we are praying. Are we listening to the Word of God? Then it is appropriate to sit. Are we humbly beseeching God? Then it is appropriate to kneel. Are we contemplating after Holy Communion the Lord we have just received? Then it is appropriate that we close our eyes and bow our heads in silent prayer. As I read that last line, I was reminded of a conversation I had with a Sister who informed me she had just finished preparing her second-graders for their First Holy Communion. I said she must be thrilled and proud. She replied, with great sadness in her face and in her voice: “Father, I have taught them everything the Church wants them to know and believe about the Holy Eucharist, but I just have the impression that they do not believe what I believed at their age.” I then asked her about eucharistic practices in her parish. Like most parishes in the West, just about anyone distributes Holy Communion to anyone in any position and in any degree of disposition. Until those situations are dealt with, I told the nun, her children will never be able to believe what she believed and, hopefully, still does believe. Why? Because our praxis is under-cutting our theology. The interior participation is not allowed to flower because of external modes of participation which are problematic. What has been suggested by Father O’Neill is no more and no less than what Aristotle would have referred to as a “catharsis,” namely, that a would-be spectator so enters into the dramatic action that he becomes a participant. And I think the word we have been searching for is not “active” but “actual.” To illustrate the validity of this suggestion, let me finish with this scenario. You have decided to go to the opera for Puccini’s Madame Butterfly. You have paid your hundred dollars or euros and have a superb seat. The orchestra is outstanding. The sets are splendid. The performances are stellar. You are so drawn into the action that you completely identify with the protagonist, experiencing all the emotions the composer envisioned. In short, by the end of the work, you have run out of handkerchiefs and tissues. The only drawback, however, is that you did not get up on the stage and sing the final, heart-tugging aria yourself. I ask you: Did you have a genuine experience of catharsis in the Aristotelian sense? Was it an example of participatio actuosa? I believe it was. Was it “active” participation? I think not. What was it, then? I submit it was that form of real participation which we should call “actual.” And that, I further submit, is the kind of participation the post-conciliar Magisterium has had in mind. May it become a reality in our day. (1) For a fine discussion of this problem and for some healthy remedies, see: Stratford Caldecott, “The Heart’s Language: Toward a Liturgical Anthropology, Antiphon, 2001 [Number Two]. (2) “Active Participation Again,” The Priest, July 2003, 32. (3) “The Theological Meaning of Actuosa Participatio in the Liturgy,” in Sacred Music and Liturgy Reform after Vatican II. Rome: Consociatio Internationalis Musicæ Sacræ, 1969, 105. The church keeps the feast of the Angels for two reasons. The first is that they minister to us, “for they are all ministering spirits, sent to minister for them, who shall receive the inheritance of salvation.” (Hebr. 1, 14) The second is that they fight for us against the wicked angels, and do not allow us to be tempted beyond what we can bear. (cf. 1 Cor. 10, 13). Of this battle it is said in the Apocalypse, “There was a war in heaven.” (12, 7) This war will be especially in the time of the Antichrist, but it has also been and is always in the death of the martyrs. 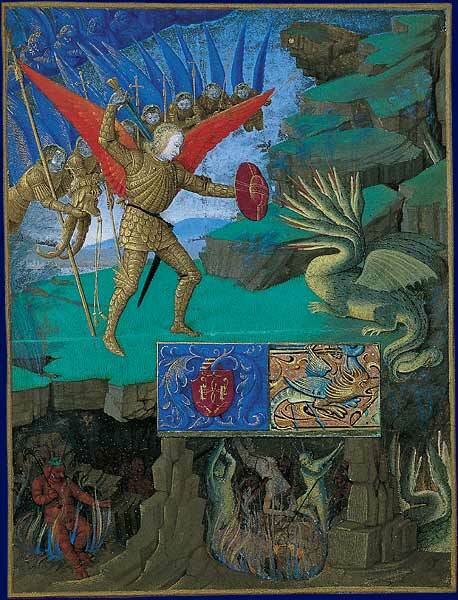 “And the dragon was cast out”, that is, the devil was cast out of heaven, which is to say, out of heavenly men, and down into the hearts of evil men. 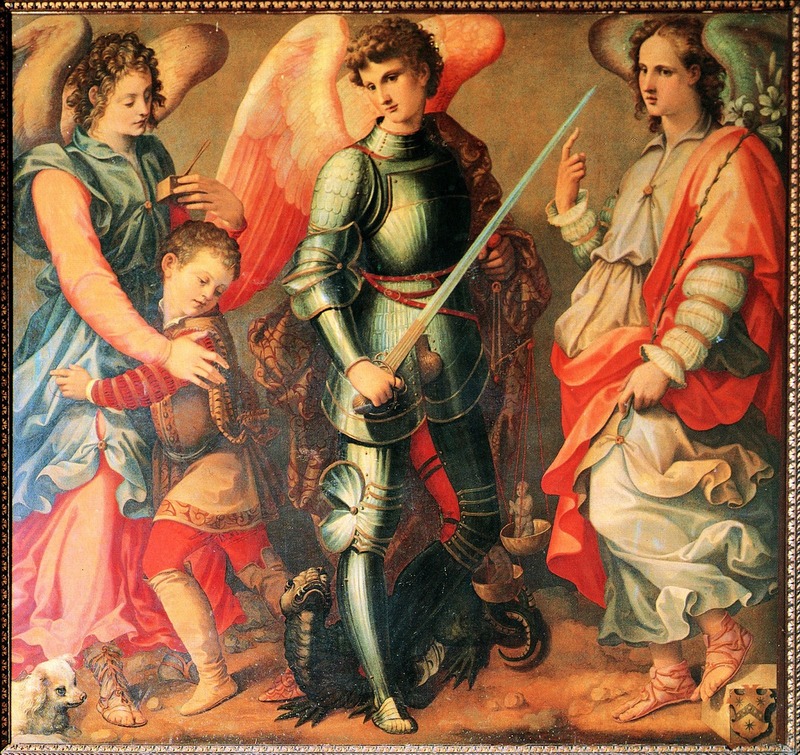 The Archangels Raphael, Michael and Gabriel by Michele Tosini; from the choir of the Abbey of St Michael in Passignano, Italy, ca. 1550. 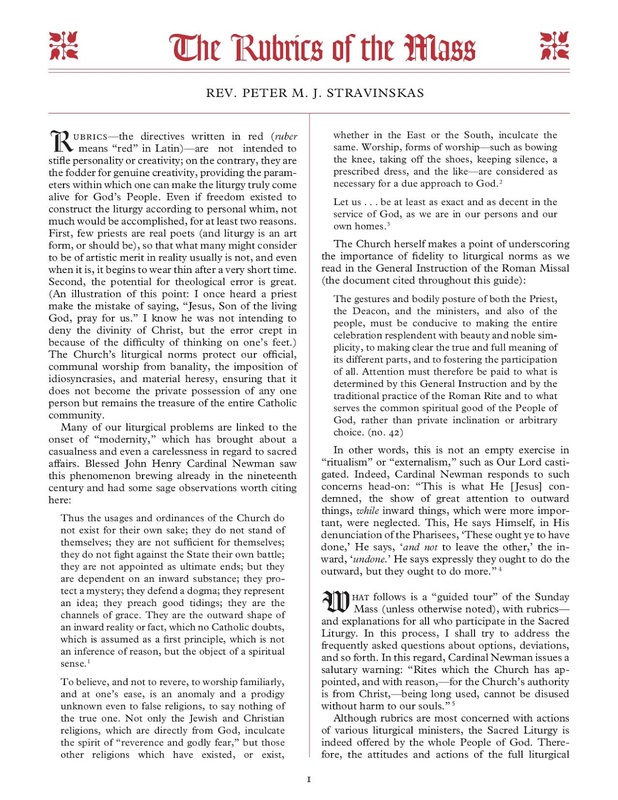 The following paper was originally delivered at the CIEL conference in Paris in 2003; we here present it in a modified form with the permission of the author, Fr Peter Stravinskas. In it, he examines the question of how the famous words “actuosa participatio” in Sacrosanctum Concilium were originally meant to understood. The second part will appear on Friday, arguing that “actual” participation better expresses the mind of the Church and the Magisterium after the Council and the liturgical reform. We are grateful to Fr Stravinskas for allowing us to reprint the article here on NLM. Many of our problems in the contemporary Church can be laid at the doorstep of a mistaken notion of participation – liturgical and otherwise. The Latin adage says, “Discimus docendo.” And that has surely proven true as I went about the preparation of this paper. I knew that the “participatio actuosa” of Vatican II had a long pedigree, indeed, all the way back to Pope St. Pius X. I thought, however, that rendering it as “active participation” was just a mischievous English translation, only to discover that at least all the Romance languages have the equivalent translation.1 My next suspicion was that using the equivalent of “active” in the various vernaculars was a modern attempt to create a new vision or reality through linguistic manipulation. 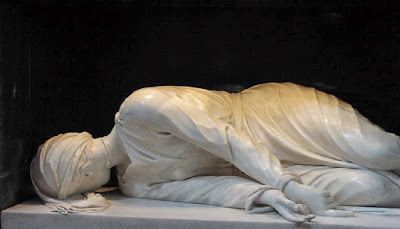 Once more, an historical search revealed that “active” was the word of choice going back to translations of Pius X’s landmark document, Tra le Sollecitudini. That said, I am still going to suggest a better translation of actuosa, at least for our moment in history. Perhaps “active” did not carry all the baggage it does today. At any rate, it seems to me that if Pius X or the Fathers of the Second Vatican Council had wanted to say “active”, they could have used activa, but they didn’t; they used actuosa. What, then, is the difference between actuosa and activa? The methodology of this paper will be to “back into” my suggestion for a more appropriate vernacular rendering of actuosa by reviewing the use of participatio actuosa over the past forty or so years, so as to come up with a picture of what the contemporary Magisterium has had in mind. Then, we can settle on a word that might more adequately capture the reality. Monsignor Richard Schuler, an eminent student and promoter of the Sacred Liturgy as well as an accomplished musician, has traced out for us a good deal of the historical background to this important phrase, and I wish to acknowledge my indebtedness to him for this. (“Participation” Sacred Music, Winter 1987) As noted earlier, the first magisterial use of our expression occurs in Tra le Sollecitudini, wherein the Pope observes: “. . . the faithful assemble to draw that spirit from its primary and indispensable source, that is, from active participation in the sacred mysteries and in the public and solemn prayer of the Church” [emphasis added]. 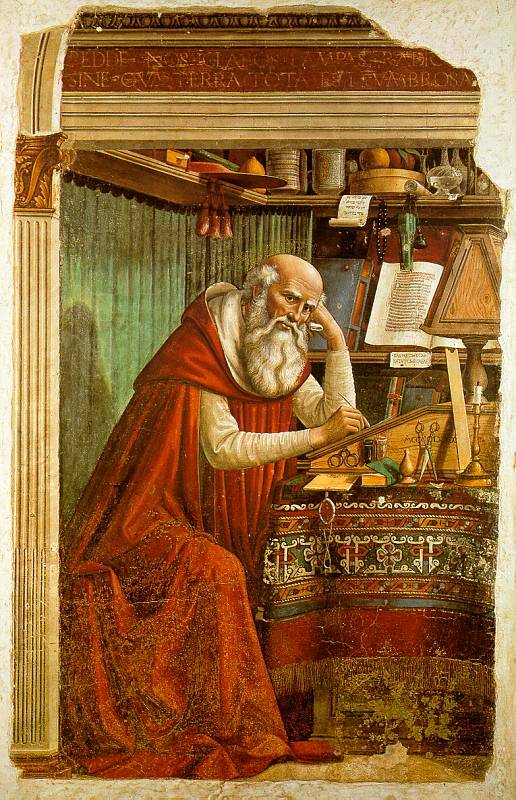 Twenty-five years later, Pope Pius XI in Divini Cultus opined that through the restoration of Gregorian chant to the people, “the faithful may participate in divine worship more actively” [emphasis added]. Pope Pius XII in Mystici Corporis  and in Mediator Dei  likewise used the term. In 1958, the Sacred Congregation of Rites in De Musica Sacra distinguished several levels of participation. We find the following: “The Mass of its nature requires that all those present participate in it, in the fashion proper to each.” First of all, this participation should be “interior”, that is, union with Christ the Priest. The participation becomes plenior if the interior participation is yoked to external participation [e.g., gestures, posture, responses, singing]. The highest degree of participation is achieved when sacramental participation is added to the other forms. One might arguably say that the most-cited and perhaps the most-misunderstood text of the Second Vatican Council is the following from the Constitution on the Sacred Liturgy: “Valde cupit Mater Ecclesia ut fideles universi ad plenam illam, consciam atque actuosam liturgicarum celebrationum participationem ducantur, quæ ab ipsius Liturgiæ natura postulatur. 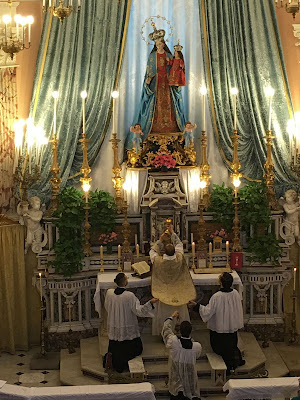 . . .” That has come into English as: “Mother Church earnestly desires that all the faithful should be led to that full, conscious, and active participation in liturgical celebrations which is demanded by the very nature of the Liturgy” [n. 14]. The conciliar use of participatio actuosa takes for granted the understandings of the term as I have just outlined them. Oddly, though, Sacrosanctum Concilium employs our expression without providing a single reference as to its source or history – almost as if it were a novel concept. Most realistically, the Council Fathers note “pastors must therefore realize that when the Liturgy is celebrated something more is required than the mere observance of the laws governing valid and lawful celebration; it is also their duty to ensure that the faithful take part fully aware of what they are doing, actively engaged in the rite, and enriched by its effects” [n. 11]. And how will this occur? The clergy “themselves must become imbued with the spirit and power of the Liturgy and capable of giving instruction about it” [n. 14]. And hasn’t that all too often been the very problem with our liturgical life in the post-conciliar era? Indeed, could we not even refer to this as a locus classicus of the trahison des clercs? The Church, therefore, earnestly desires that Christ’s faithful, when present at this mystery of faith, should not be there as strangers or silent spectators. On the contrary, through a good understanding of the rites and prayers they should take part in the sacred action, conscious of what they are doing, with devotion and full collaboration. They should be instructed by God’s Word, and be nourished at the table of the Lord’s Body. They should give thanks to God. Offering the immaculate Victim, not only through the hands of the priest, but also with him, they should learn to offer themselves. Through Christ, the Mediator, they should be drawn day by day into an ever more perfect union with God and with each other, so that finally God may be all in all. Pope Paul was quite exercised about ensuring the proper implementation of the Council’s liturgical document, never missing an opportunity to share its vision with clergy and laity alike. In an address to the pastors of Rome on 1 March 1965, he said: “You must be convinced that the objective is to reach the heart of today’s people through the Liturgy as the truest, most authoritative, sacred, and effective way and so to rekindle in them the flame of love for God and neighbor, the awesome, intoxicating power to commune with God – authentically, consolingly, redemptively.” Less than a week later [7 March 1965], he explained to a group of lay faithful that the Church had embarked on this liturgical reform, “so that you may be able to unite yourselves more closely to the Church’s prayer, pass over from being simply spectators to becoming active participants.” Inexplicably, he saw this goal necessitating, in his own words, the “sacrifice” of Latin! Prescinding from some judgment calls Paul VI made, one can see a consistent trajectory of thought on his part: The participation of the faithful needs to be interior as well as exterior, arising from personal faith and knowledge and bringing about an ever deeper life of faith and holiness. Tres Abhinc Annos, issued by the Sacred Congregation for Rites on 4 May 1967, indicates that reports from bishops around the world attest to “increased, more aware, and intense participation.” One might have hoped that such an assessment was an accurate reflection of the reality; having been a boy in high school at that time, that is certainly not my recollection. 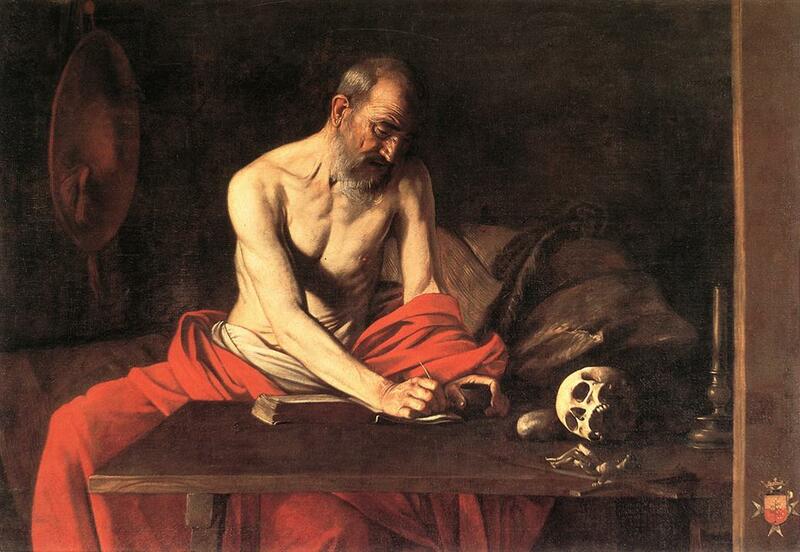 Indeed, as catechesis began to fall on hard times, we were less aware than ever of the mysteries being celebrated. 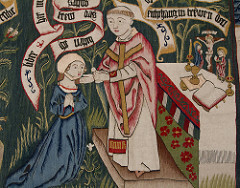 The active part of the faithful in the Eucharist consists in giving thanks to God as they are mindful of the Lord's Passion, Death, and Resurrection; offering the spotless Victim not only through the hands of the priest but also together with him; and, through the reception of the Body of the Lord, entering into the communion with God and with each other that participation is meant to lead to. . . . All these things should be explained to the faithful in such a way that in consequence they share actively in the celebration of the Mass by both their inner affections and the outward rites, in keeping with the principles laid down by the Constitution on the Liturgy. Do not miss the strong emphasis on a participation which springs from a clear understanding of a truly Catholic appreciation of the eucharistic mystery – the whole point of the document. In yet another general audience address [19 November 1969], Pope Paul highlighted his hopes for the liturgical renewal: “The result anticipated – or better, longed for – is the more intelligent, more effective, more joyous, and more sanctifying participation by the people in the liturgical mystery” [emphasis added]. Again, the internal aspects occupy center stage. A few words may be said about the liturgical aspect. 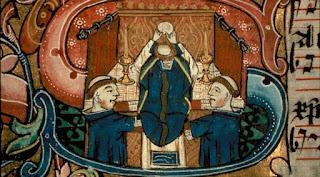 A more immediate and active participation in the Liturgy calls for and even demands a sense of the sacred, a knowledge of the significance of the feasts, liturgical seasons, and rites. . . . Preparation of this kind is a necessary prerequisite for the opening of the spirit to the knowledge of what singing as the service of God is meant to achieve. . . . The singing will become a true harmony to the degree that it is a blending of skilled technique and of a genuinely religious spirit that allows the voice to become the devout expression to the soul. While the Cardinal was addressing choristers, his insights apply across the board. Notice certain key phrases: “a sense of the sacred,” “knowledge of the significance,” “preparation,” “service of God,” “a genuinely religious spirit,” “devout expression to the soul.” Are these not the very elements whose loss is experienced and so lamentable in all too many post-conciliar liturgical events? 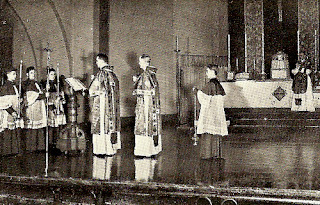 A liturgical renewal which proceeds step by step with a deepening of our concept of the Church can be regarded as one of the most important processes in the history of the Church of our century, as the overcoming of formalism which for many years has prevented the development of the liturgical life. 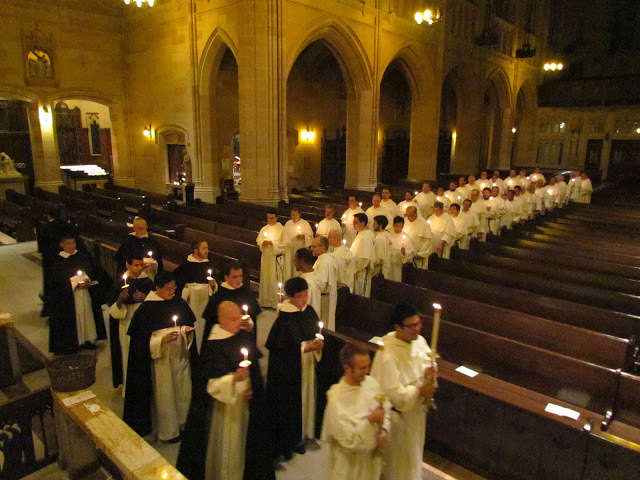 A famous liturgist said, when the new Easter Vigil was introduced: “Now the ice age is over.” But let us remember: Liturgy is a disciplined service of God, a common actio of the celebrant and the community. 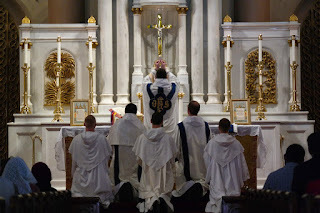 The previous or concomitant reading of the texts of the Mass by the community is not the only, nor the most important form, of active participation (actuosa participatio) in the carrying out of the Liturgy; the decisive form is the interior participation of the faithful in the sacrifice and in the eucharistic meal. Why have I spent so much time citing a non-Magisterial source? Because I have a suspicion that his article’s publication in L’Osservatore Romano was anything but happenstance and, further, that Magisterial statements thereafter adopt his approach with much greater clarity and force, as should become evident as we proceed in our survey of texts. For today’s feast of the martyrs Ss Cosmas and Damian, our friend Jordan Hainsey sent in some photographs which he took of the Roman basilica dedicated to them, which is one of the oldest in the city. 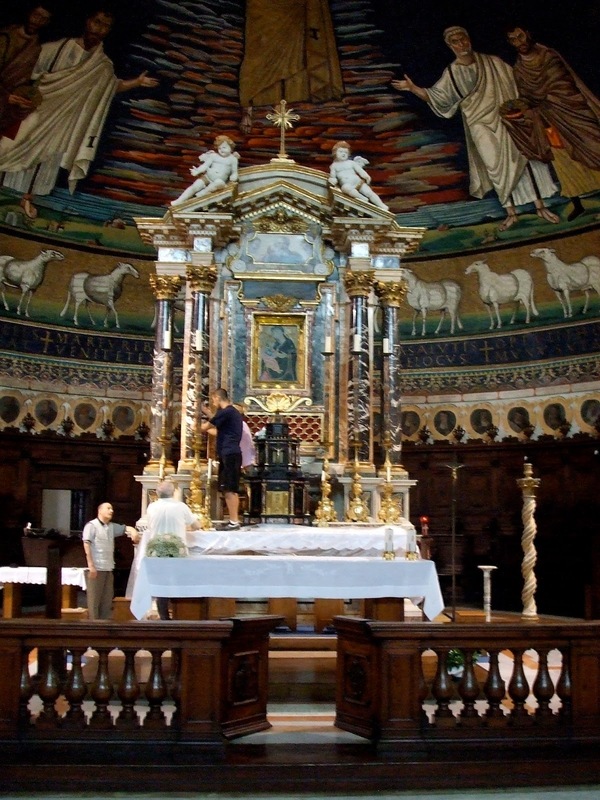 In 2007, he did some work with the art conservator who was restoring the church’s high altar, which he describes as “an amazing opportunity to see decades of dirt and soot removed from precious marble, and see precious frescos regain their brilliance and clarity.” In the first photo, he is standing on the high altar helping to lift up and place the 75 pound gold candlesticks. Of special interest, the candlesticks had fascinating 19th century extenders which allowed for smaller candles while giving the illusion of a tall candle. The descriptions which follow are all by Jordan. The Basilica of Ss Cosmas and Damian is located in the very heart of ancient and modern Rome. The building was originally a Roman structure that belonged to Vespasian’s Forum of Peace, and may have been one of the libraries of that forum. It was rebuilt and consecrated as a church by Pope St Felix IV in 527. The circular structure known as the Temple of Romulus in the Roman Forum is incorporated into the church. The basilica was entrusted to the Franciscan Friars T.O.R. in 1503 and remains in their care. Over the past decade, it has been extensively restored, starting with the high altar in 2007. Since then, the side chapels have been cleaned and restored, along with the choir in the apse behind the altar. 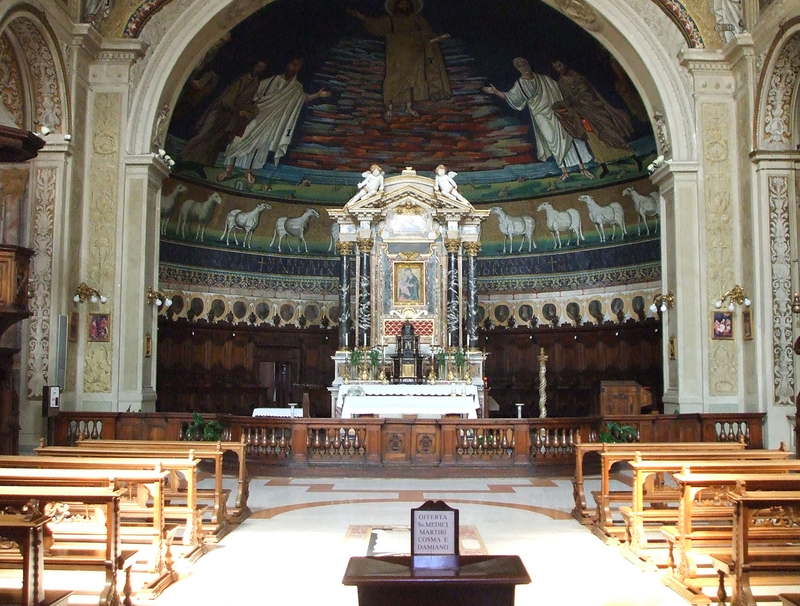 The high altar was designed by Domenico Castelli at the order of Fr. Ludovico Ciotti, and constructed in 1638. 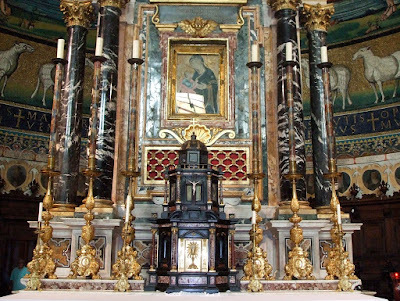 The four black and white marble columns formerly supported the baldachino above an ancient altar in the crypt. 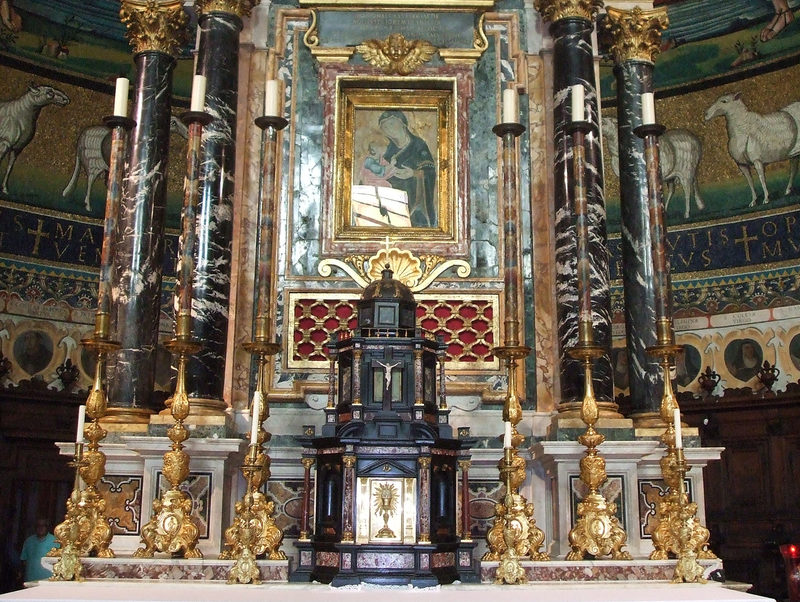 In the 18th century, the tabernacle was fashioned from ebony and stone, mixed marble, and bronze. This cosmatesque ambry was donated by Cardinal Guido Pisano in 1150. 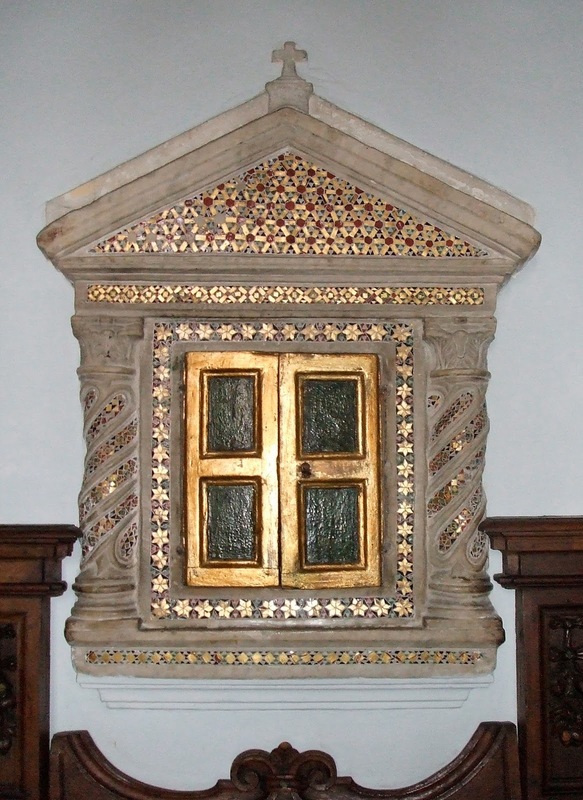 It is of white marble, with a mosaic of patterned glass set into the wall; the wooden doors are painted in gold leaf. 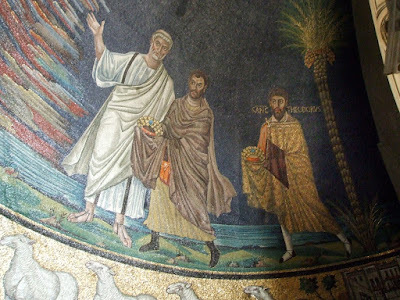 The apse mosaic dates from 527-530 A.D. Christ the Judge stands above the dramatically colored clouds; this is the first time in Western art that Christ is depicted as an Easterner, like the Saints to whom the church is dedicated, who were from Arabia. The Apostle Peter presents Cosmas and the Apostle Paul presents Damian so that they may receive the crown of their martyrdom. At the far left, Pope Felix IV presents the model of the basilica, and to the far right stands the soldier St Theodore; the latter is dressed as a Byzantine official in a cloak with a square purple cloth sewn on it, one of the insignia of a magistrate in the court of Justinian. A procession of sheep make up the lower band, moving from Bethlehem and Jerusalem towards the Divine Lamb from Whom spring up the rivers of life: the Geon, Phison, Tigris and Euphrates. 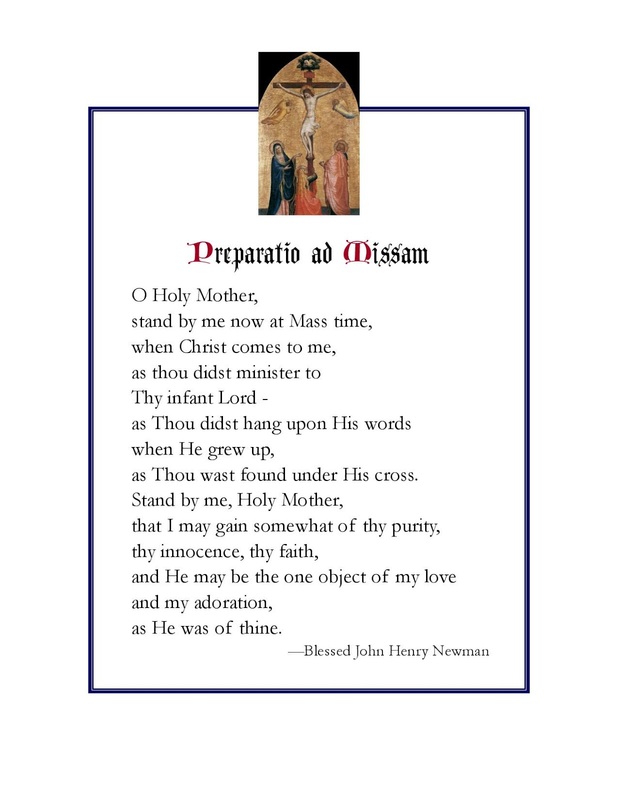 Speaking of prayers in preparation for Mass, Newman House Press wrote to let us know that they have available a prayer written for that purpose by the Blessed Cardinal John Henry Newman, addressed to the Virgin Mary. This can be ordered on a printed card for $5 plus $1 shipping and handling through their webpage noted above; just mention the item in an email to the address given under the link Contact. They are also offering a special discount on a treatise by Fr Peter Stravinskas on “The Rubrics of the Mass”, a useful explanation of why rubrics ought to be followed, which then goes through the Mass and explains the basic rules. The special offer price is 100 copies for $10 plus shipping and handling. 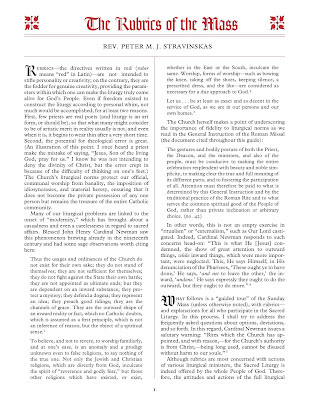 Here is the first page (click to enlarge). 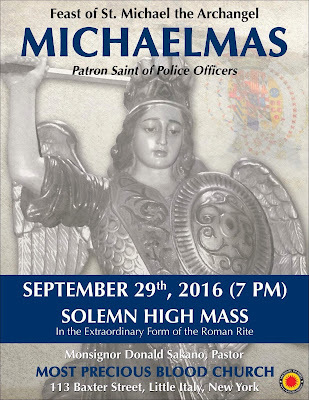 On Thursday, September 29th, the feast of St. Michael the Archangel, a Solemn High Traditional Latin Mass will be celebrated at 7:00 p.m. in the historic Church of the Most Precious Blood, located in New York City’s Little Italy. 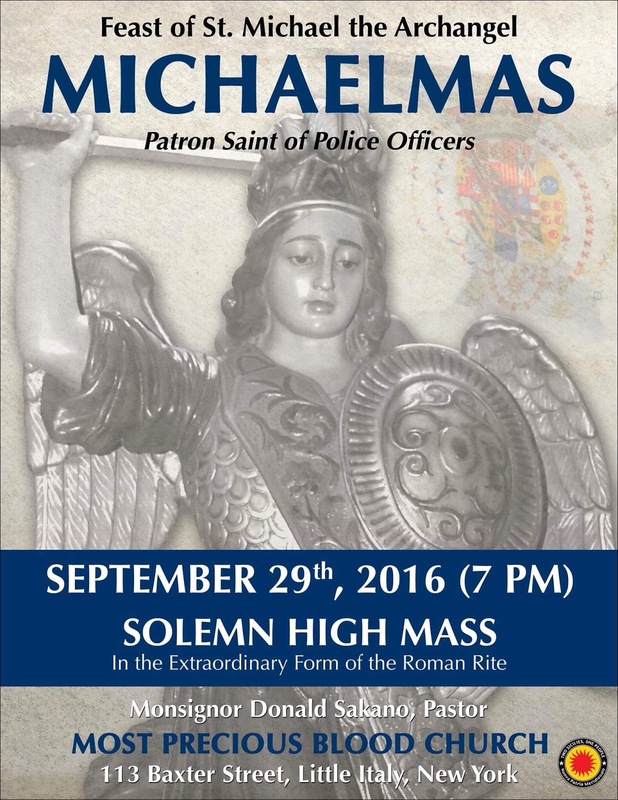 The intention of the Mass will be for the spiritual and physical well being of all police and law-enforcement officers. This Mass and the Mass at Holy Innocents at 6:00 p.m. will make for two Solemn Traditional Latin Masses being celebrated almost simultaneously a few short miles from each other in Manhattan; such an occurrence, just a few short years ago, would have seemed impossible. 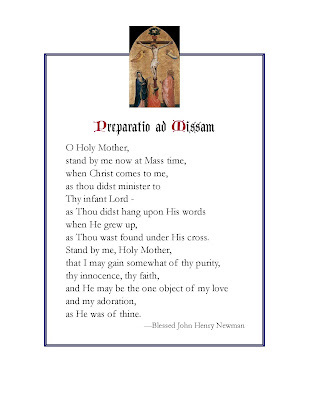 Those who are familiar with the traditional Roman missal will know that it features quite a number of prayers of priestly preparation before Mass and of thanksgiving after Mass. Often a sampling of these orations, antiphons, psalms, veriscles, etc., were (and still are) printed in Daily Missals intended for the use of the laity. Given all of these things, it has often seemed to me that it would help to have a short, well-made prayer for before liturgy and another one for afterwards -- something that could be recited in the midst of any circumstances and still wonderfully focus the mind on what is about to transpire or what has transpired. And it was at a Gothic side altar that I spotted the two prayer cards. Almighty and Merciful God, Father of our Lord Jesus Christ, Thou hast invited us to participate in this worship with Thy beloved Son, our High Priest and King. Grant us the grace to fulfill our sacred duty with faith, reverence, and love, so that we may please Thee, edify Thy people, and deserve to obtain the fruits of this holy service, through Christ our Lord. We adore Thee and bless Thee because by Thy Holy Cross Thou hast redeemed the world. Amen. We give thanks, heavenly Father, for the honor bestowed upon us by assisting at this holy service. Accept, we beseech Thee, our most humble ministry and forgive us whatever failings we have committed before Thy Divine Majesty. Enlighten and strengthen us, Lord, so that we may always render Thee praiseworthy homage through our Lord Jesus Christ, Thy Son, who liveth and reigneth with Thee, world without end. Amen. These really do seem to fit the need of the moment, and therefore I gladly share them with the readers of NLM, in case others may find them suited to their needs. But now that I am writing about my visit to St. John Cantius, I have to share a few more photos of the back rooms. What a treasure trove of relics they have!